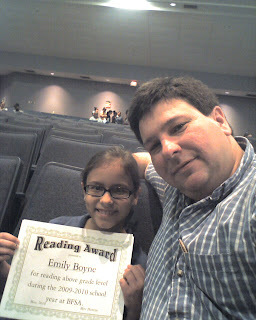 Emily's Award Ceremony was Tuesday. 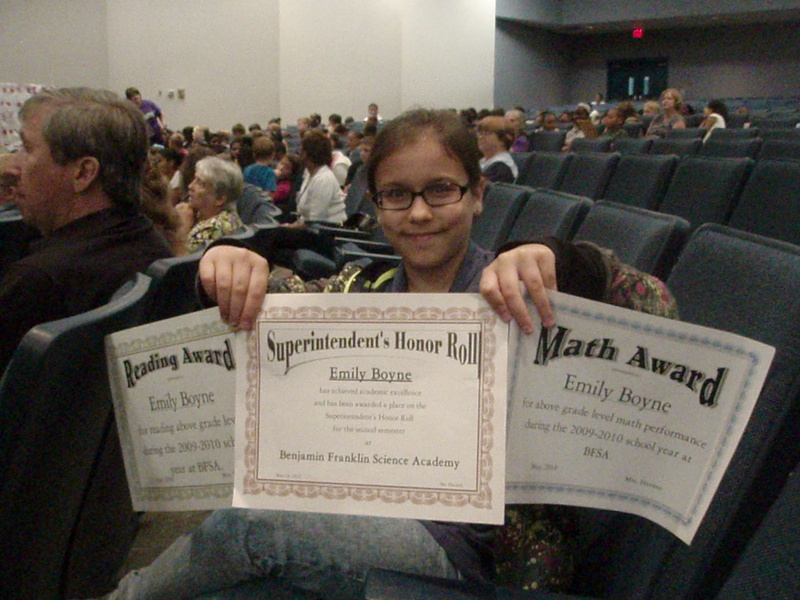 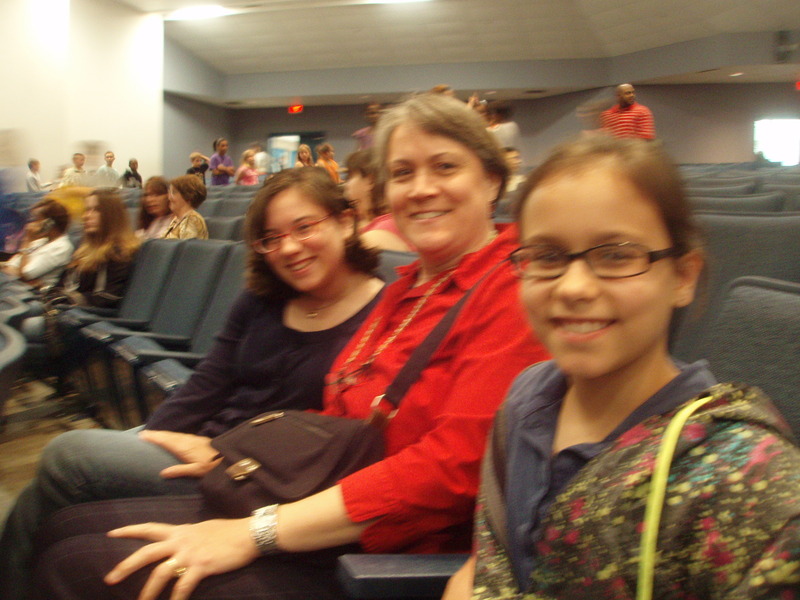 Emily received the Reading, Math, & Superintendent Honor Roll awards! While she has just completed 5th grade, she is a whole year younger than most of her classmates, as she actually started kindergarten a year early! 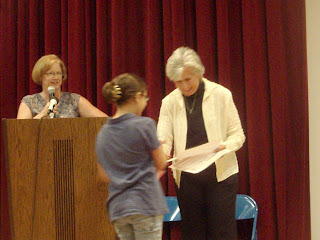 She finished as salutatorian for her class. 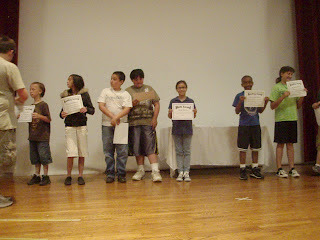 Not bad for being a year ahead! Obviously, we are very proud of her. 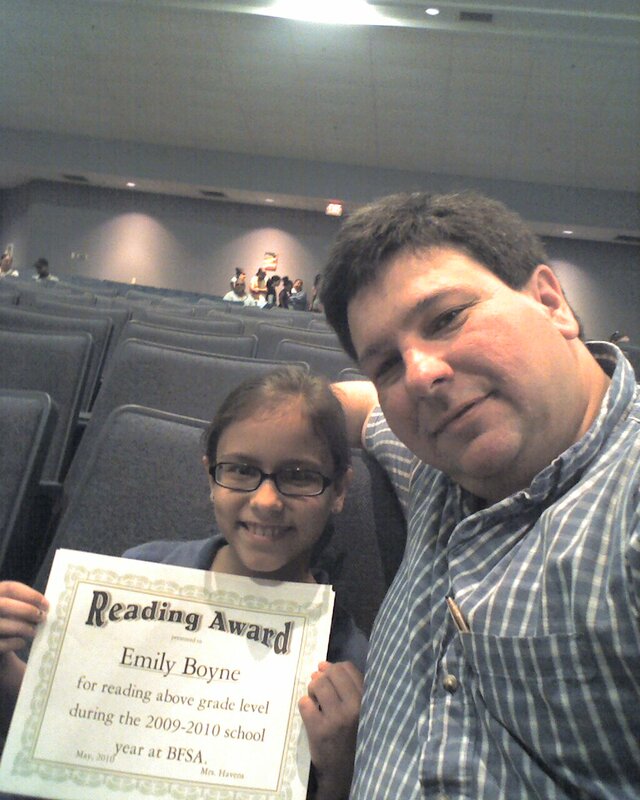 Not just for her academic prowess, but for her heart to follow God!